What are your favorite Halloween Themed Cozies? Please share below I'd love to see which ones your reading! 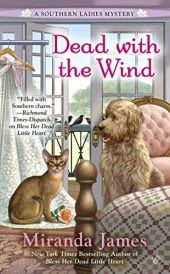 This book is from the same writer who writes the cat in the stacks and our beloved Diesel and Charlie Harris in this one we follow the Ducote sisters Dickce and An'gel who are kittysitting Diesel while his family is on vacation. While resting in their living room they are interrupted by the sister's sorority sister Rosabelle, who is adament someone is trying to kill her when her daughter in law ends up dead at the hands of a mysterious killer related to Rosabelle the Decote sisters end up having to have a huge amount of guests related to Rosabelle. Was it one of the relatives who killed Marla? Or was it Rosabelle herself having to always be the center of attention? 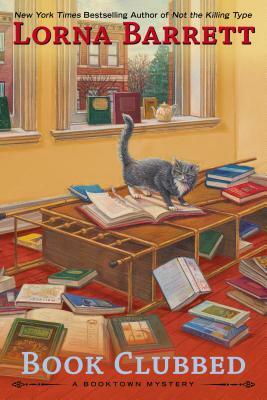 This book was great I'd loved reading about Dickce and An'gel in Cat in the stacks book and the treat became even better when I read this book. These two sisters were definitely the stars the of the show with all the crazy people who kept appearing in this book I was beginning to wonder if the sisters would ever narrow down the list of suspects which they did nicely. Can't wait to learn more about them! In this book Emma Lee is setting up the reunion for high school which in Emma's case means facing some people in school she can live without seeing. 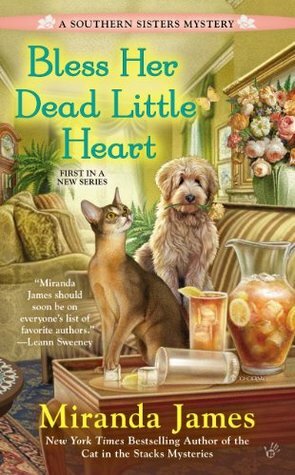 Jade Lee has been a thorn in Emma's side for as long as she can remember especially when she was called creepy funeral girl. Emma's hoping this won't be the case with the dashing Jack Henry Ross on her arm. With Fudgie a local newspaper owner on the hook for the murder of Jade Lee Peel Emma Lee finds herself helping Fudgie weed through the suspects to find out who did in the beauty queen. 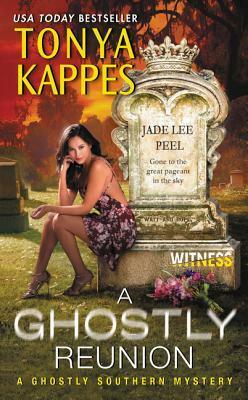 While investigating she finds herself somewhat making ammends with Jade even though Jade is a ghost. While this is going on Charlotte Emma's sister is working at a center for weddings, funerals, baby showers and more. Which has put a bad taste in Emma's mouth and finding her fighting with her sister. I love this series they seem to fly by so quickly and before I know I'm at the end of the book wanting more. I love how Emma has to deal with her 'funeral trauma' and locals wondering if Emma is insane or just an odd duck? I love going back and seeing what everyone is up to and where they up too. Can't wait to see what is next for the wonderful people of Sleepy Hollow! When an arrest goes wrong and the perp ends up dead, SKUL special agent Mick Jasper is under investigation and stripped of his badge. SKUL hires Maggie Park not only because of her ability to blend in with society when undercover but her uncanny ability to know things she shouldn't. Little does the agency know that Maggie is a witch and has special powers she uses to her advantage to clear special agent Jasper's name and hopefully bring the real killer to justice before the killer figures out who she really is. Maggie Park and Mick Jasper are back at it again. In this book Maggie is helping SKUL clear Mick when women Mick has dated wind up dead. Maggie spends sometime working with Mick's partner Sherry. When the latest woman Angela Fritz a local artist went to school with Mick Jasper, Big Stevenson and Brian Mingo. Just as the direction points one way the truth lies another way. Will Maggie uncover the murderer or will she go up in smoke? I love this series it's so warm and inviting seeing what Auntie, Mom, Maggie, Lilith and Mick and the gang from SKUL are up to. It's like coming home to visit the family and reminds me in some ways of Alice Hoffman's Practical Magic I don't think I will ever grow tired of this series and look forward to re-reading them when I need my magical fix! Can't wait to see what is next! I love this book and the way Brandi tells stories from her family. She is so funny and they are so crazy I can totally see them happening. If you ever need a good cheer up at all definitely pick up this book and it will leave you with a sore stomach from laughing so hard. Can't wait to see what Brandi comes up with next! 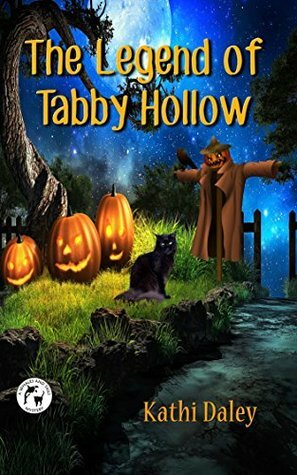 In Doggone It, amateur sleuth Baxley Powell reluctantly agrees to visit June’s Folly, a haunted house, with her reporter friend, Charlotte. I say reluctantly because Baxley has a bad history with the place. The last time she went there, the energy of the place shorted her circuits, she passed out, and her father had to rescue her. That was over ten years ago and she’s learned tons about shielding herself since then. Besides, Charlotte will go out there whether Baxley accompanies her or not. Baxley doesn’t think it’s safe for her friend to be out there alone, so they head out there together at dusk. Charlotte’s sure her feature on haunted houses will land on the front page and further advance her rise to fame and fortune. When Baxley says her expertise is in spirits from beyond, Charlotte tells her “tough” and suggests her dreamwalker friend change her frequency so she could talk to earthbound spirits. Baxley has no intention of tapping into any spirit frequency in the swamp. She’s along for moral support. It should have been so easy. Drive out there. Snap a few pictures, peek in the windows of the abandoned mansion, and scoot back home. Baxley does her part, shielding herself from the bad juju at June’s Folly. Even walking up to the house, she still feels strong and in command of her senses. Not so, Charlotte. She sinks down on the steps and can’t manage to move at all. When Baxley touches her friend’s hand, she discovers Charlotte is ghostly cold. Somehow, non-sensitive Charlotte has found the ghost at the haunted house. Charlotte is none too happy about the occurrence and demands her friend’s help. Baxley is in a jam. If she doesn’t help her friend by sussing out the ghost, she’ll be a wimp forever. But for her to access the ghost, she has to lower her paranormal protection. She’ll be vulnerable to a psychic attack, just like she was as a teenager. At 28, she’s too old to call her dad to come get her. The longer she deliberates, the more anxious her friend becomes, and the guiltier Baxley feels. Why does this haunted house have to be smack dab in the middle of a swamp? Charlotte wants the real story of June’s Folly, but Baxley never planned to do more than chaperone this adventure. Getting involved in the ghost assessment was not on her to-do list. It topped the list of items not to do. You’ve met and overcome all manner of baddies on the spirit side of the veil, the logical side of her brain insists. But this place is like kryptonite to you – you should be scared, whines her inner child. Usually Baxley relies on her intuition to guide her, but her senses are locked down so tight that she can’t tell if her fear is warranted or a remnant of a childhood mishap. There’s no way she would ever consider abandoning her best friend, and it’s tearing her up to see her friend out of commission. What to do? Save her friend? Risk a similar or worse fate for herself? Share your advice for Baxley, and be sure to enter the drawing. BIO. 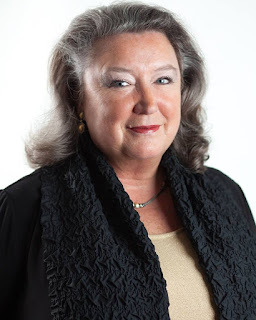 Southern author Maggie Toussaint writes mystery, suspense, and dystopian fiction. Her work won the Silver Falchion Award for best mystery, the Readers’ Choice Award, and the EPIC Award. She’s published fifteen novels as well as several short stories and novellas. 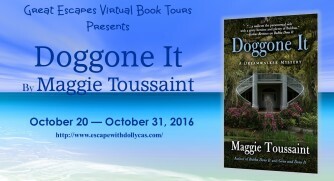 The next book in her paranormal mystery series, Doggone It, releases October 2016. Maggie serves on the board for Southeast Mystery Writers of America and Low Country Sisters In Crime. Visit her at www.maggietoussaint.com. In this book we follow Irene Seligman who moves back home to Santa Fe when her mother asks her to. 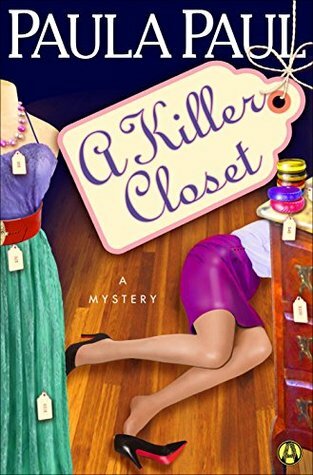 In her new store she finds a dead woman someone her mother new and finds herself under the police radar. As the bodies pile up and it's up to Irene her mom Adelle and Irene's new worker Angel to figure out what is going on and how deep the mystery goes. I enjoyed this book and had no idea where Ms. Paul was headed with the mystery. I found myself digging deeper until the mystery was solved. 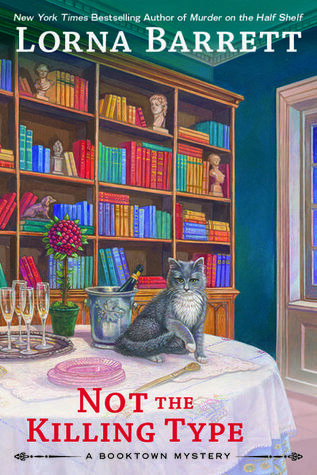 Can't wait to see what is next for Santa Fe in this remarkable cozy mystery! 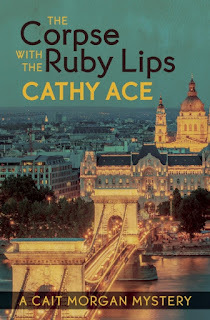 Recently I had a chance to sit down and talk to Cathy Ace the author of The Cait Morgan Mysteries and the WISE Enquiries Agency Mysteries. Thank you for taking the time to visit us Cathy! 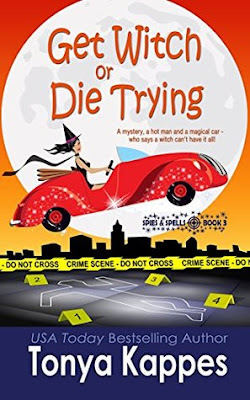 I write crime fiction – on the broad spectrum of “cozy crime”, I’d say I write traditional mysteries rather than very cozy ones…think Agatha Christie and Ngaio Marsh. I always write “closed circle” mysteries, where only a small number of people could have “dunnit”. How did you come to write crime fiction? 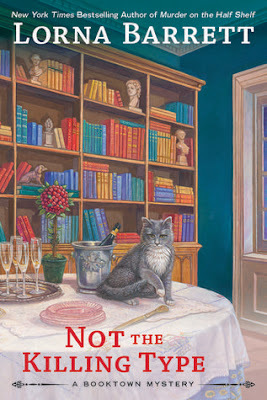 It’s what I grew up reading – my mum was a real Christie fan, so it’s no surprise I devoured her collection of books when I’d “outgrown” Nancy Drew and the Hardy Boys. I write two distinctly different series of books – the WISE Enquiries Agency Mysteries (which feature a quartet of softly-boiled professional female investigators who run their business out of a converted barn in the grounds of a a stately home in Wales) and the Cait Morgan Mysteries, which feature a professor of criminal psychology with a love of all things foodie! Today I’m cheering the launch of the eighth book in my Cait Morgan Mystery series, and I have to admit I have a soft spot for Cait. She’s a lot like me – though I don’t have all her flaws….but then neither does she have all mine, so I suppose we’re even. Like me she was born and raised in Wales (she even grew up on the same street as me and when to the schools I attended, if you can believe that!) and, also like me, she migrated to Canada and lives in British Columbia. Another thing we have in common is our love of travel – each of Cait’s adventures takes place in a different country…and it seems she’s following in my footsteps in even this regard. In THE CORPSE WITH THE RUBY LIPS Cait finds herself in Budapest, Hungary – a stunning city with a dark history, where I have spent a good deal of time over the years. enthusiastic reader of traditional mysteries, she’s happy to give feedback during my writing process and proudly borrows all my books from her local library. To be honest, writing is a pretty all-consuming way of life, but, when I’m not at my desk I’m likely to be in the garden. I’m so fortunate to live on acreage, and my husband and I actively garden about three of our five acres, so there’s always something to do, whatever the season. I especially enjoy pulling up weeds while I plot, or thinking about my victim/s when I’m decapitating dandelions (which I only do when there are plenty of other blooms in the garden to keep the local bees happy!). Oh heck – this is a tough one! First off, I’d like a huge supply of water-purifying tablets and meal-replacement bars etc. so I can be sure I’ll survive while I’m trying to work out how to collect water and food for the longer-haul, if that’s okay? Secondly, I suppose I’m not going to surprise anyone when I say my choice would be to have a laptop with a year’s-worth of battery, back-up disks and internet access (not so I could escape, but so I could write and research the books I’d have the peace and quiet to work on) or – failing that – an endless supply of pens and paper would do! Finally, I’d opt for a copy of the Complete Works of William Shakespeare – because most of the truths about the human condition are contained therein, and his work would inspire me while I sat alone contemplating the universe. Thanks so much for having me along. Your welcome Cathy thank you for stopping by Community Bookstop today! This book follows Angelica and Tricia who are sisters as well book store owners Angelica a cookbook store, along with her cafe across the road and until recently has decided to run for President of the Chamber of Commerce. She has decided she can help run the town better than the current President and her ex-boyfriend Robert Kelly whose a local realtor in town. 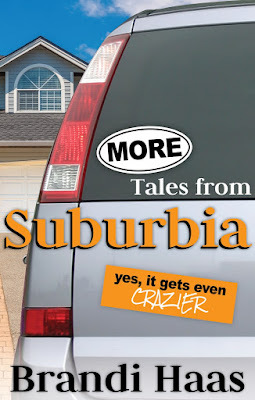 When Angelica throws her name into the running the Chamber of Commerce she finds she's not alone as Stan Berry who makes signs for local businesses has decided to run the town and has his own vision of the future of Stoneham. Not long into the Chamber of Commerce election Tricia whose in desperate need of a bathroom stumbles across Stan Berry on the toilet dead. Who killed him? Does his death have anything to do with the election and if not why was he killed? And who is Stan Berry? 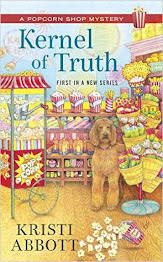 Tricia finds herself doing her own investigating after her sister seems to be suspect number 1, and in order to clear her sister's name she knows she has to learn as much as she can about Stan Berry. When a new comer to Stoneham arrives Stan Berry jr. also known as Will Berry Tricia's learn he has a son whom Stan never really took the time to get to know or even support. What will Will do? Is he like his father or does he have something to do with his father's demise? We also learn more about Christopher Tricia's ex-husband. Why he's around and what he really wants. Christopher seems to have finally figured out how badly he screwed up when he went to find himself and ditched his life and his wife. Does Tricia want him back or even want anything to do with him? While all this is going on Tricia's ex-employee Ginny is getting married to Antonio who works at the local Brookview Inn. Will Ginny and Antonio have the wedding of their dreams or will the death of Stan Berry mess up their beautiful wedding? 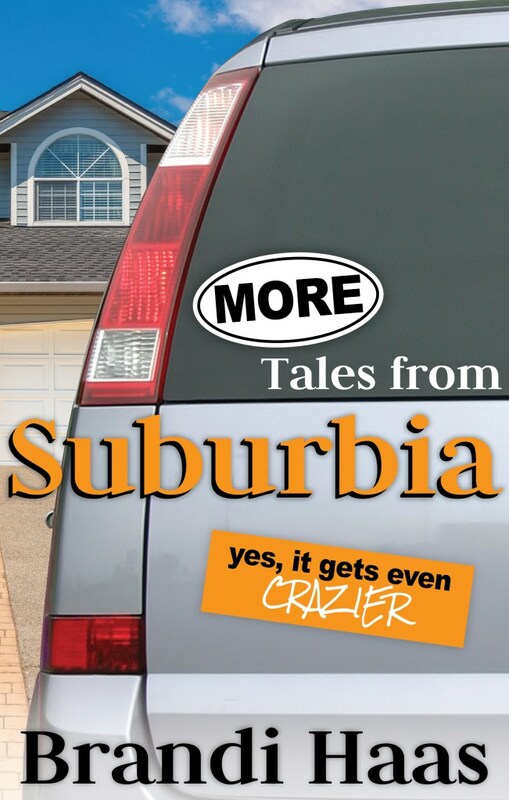 I love this series maybe because I'm from NH or maybe it's the descriptions given to Stoneham by Lorna Barrett she really brings you in wanting to see how everyone is doing from the last time we've heard from them. 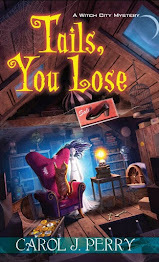 This book didn't disappoint it welcomed you in like you are just another shop owner catching up with Tricia and her sister Angelica. I can't wait to see what is next in this series. 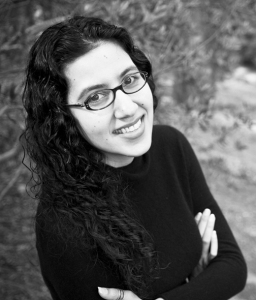 USA Today bestselling author Gigi Pandian spent her childhood being dragged around the world by her cultural anthropologist parents, and now lives in the San Francisco Bay Area. 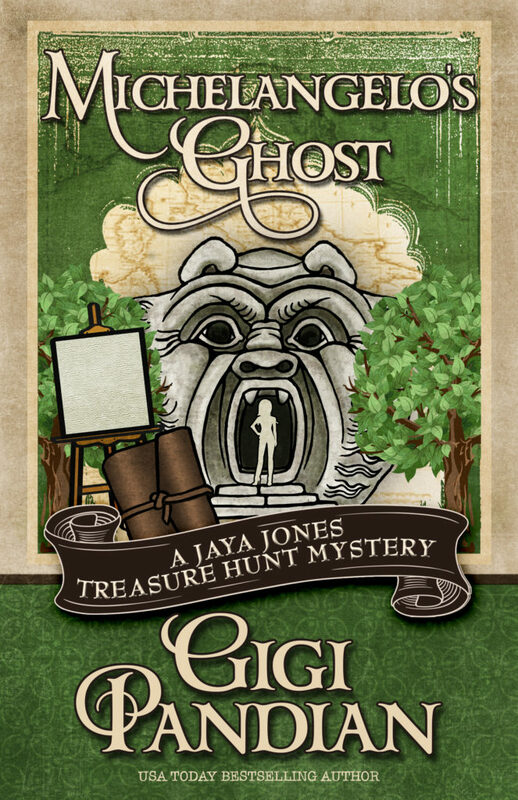 She's the author of the Jaya Jones Treasure Hunt mystery series (Artifact , Pirate Vishnu , and Quicksand ) and the Accidental Alchemist mysteries (The Accidental Alchemist and The Masquerading Magician ). When an Armani-clad corpse turns up in the woods, crime reporter Nichelle Clarke smells a scoop. A little digging, and Nichelle uncovers a web of corruption that stretches all the way to Washington, D.C. Politics. Murder. And a dead lobbyist. It's everything Nichelle's ever dreamed of. Part of the Henery Press Mystery Series Collection, if you like one, you'll probably like them all! 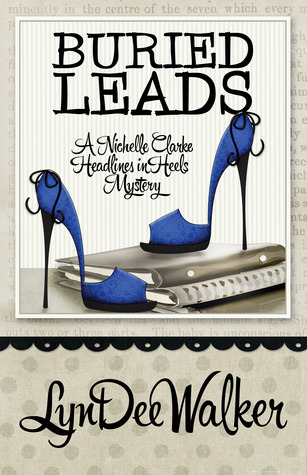 BURIED LEADS is the second in the Nichelle Clarke Headlines in Heels mystery series. In case you missed the first one, check out FRONT PAGE FATALITY.